While most people want to train harder and longer to lose weight and get in shape when they getting older, personal trainer and fitness expert Carey Yang advises that one should train smarter, not necessarily harder or longer to get the results. Yang is the owner and master personal trainer at Beyond Fitness Solutions, LLC -- a leading in-home personal training and weight-loss management company serving and helping clients in Morris County, Sussex County, Passaic County, Essex County and Somerset County areas in New Jersey. Just because you've hit the 40's, 50's, 60's or older stage of your life, it doesn't mean you automatically need to hang up your athletic drive and take up pool aerobics. Of course, there is nothing wrong with turning to pool aerobics for fitness, but if you've been a competitive athlete, it's only natural to want to keep pushing yourself beyond the basics. As we age, there is a gradual, and inevitable, decline in physical fitness ability. It doesn't have to be dramatic or sudden, but it will happen. If you can be prepared for it, and adjust both your physical fitness routine and your attitude, you may find that you can still compete at a high level. If you still strive for peak performance and enjoy pushing yourself, you can still make the most of your workouts. To do so safely and comfortably, take a look at at the following tips. Building and maintaining muscle strength is the best way to protect your joints from injury. Aging joints are more prone to arthritis and degenerative changes, but strong muscles, tendons and ligaments can take the pressure off the joints. Strong muscles will absorb more shock and are far more resilient to stress. Resistance exercise also helps prevent osteoporosis and bone loss, reduce lower-back pain, improve insulin resistance and glucose metabolism and reduce blood pressure. Building more strength is one of the best ways to lower body fat levels and maintain fitness with age. If you don't like weight training, you can still get full body strength building with yoga, and basic bodyweight routines. Avoid doing the same exercise routine day after day. By varying your exercise, you will help reduce the risk of overuse injuries, tendinitis, and joint pain. You will also reduce the specific muscle fatigue that comes from using the same muscles and movement patterns day after day. Rather than sticking with the same 30-45 minutes of steady cardiovascular exercise day after day, mix it up with some easy, long, slow exercise sessions, and then some shorter, more intense workouts, and even a few high intensity efforts of 30-60 seconds. The variety will challenge your cardiovascular system in new ways, and help you gain and maintain fitness improvements through the years. But do keep in mind that your hard efforts will most likely not be the same as in the past, and try to avoid competing with the youngsters. It's a set-up for injury. Aging athletes may not like the idea of slowing down and listening to the voice that says not to overdo it, but it's critical that you accept that you can't push yourself to the same extent as the 20-year old you. This is where the power of wisdom should emerge. If your muscles are screaming at you to back off and something feels a bit off, you should listen to your body and back off. Pay attention to that voice of wisdom. It may help you avoid a muscle strain or worse. Many injuries occur when an athlete is fatigued, and this is even more likely with an older athlete. Older athletes need to give their bodies a bit of extra time to warm up the muscles, joints and boost the blood flow. Balance and proprioception decrease with age, so spending time working specifically on this aspect of your sport can help you perform better, react more quickly and avoid injuries from missteps and falls. The easiest balance exercise is to stand on one foot. Make it harder by adding a movement, such as a half-squat or leg lift, and make it very challenging by closing your eyes. Do these exercises several times a week to work your nervous system along with your muscular system. Yep, it's true, the older you are, the longer it will take to recover from your workouts. So take a bit more down time for every hard training day you have. It's especially important for any hard strength training workouts, or and hard interval training days. Again, listen to your body and if you need two days off, take it. C. Carey Yang, Your Dream Body WorkoutXpert (TM), is a certified personal trainer and fitness boot camp instructor based in Morris County, New Jersey. He provides in-home personal fitness training, backyard boot camp, wellness and lifestyle coaching, and fitness and weight-management seminar. He specializes in helping busy, working professionals who want safe, effective workouts with maximum results in minimum time. Yang is the creator of the 6-Step Dream Body Blueprint (TM) Body Transformation System. To learn more about lifestyle and wellness coaching, personal fitness training and nutritional counseling and to sign up for a free monthly e-zine, receive free fitness and fat loss e-books, and schedule a complimentary consultation, visit http://www.BeyondFitnessSolutions.com. New Year’s Eve bell seemed to be so far away that more than 50% people have already forgotten their New Year’s resolutions to lose weight, exercise regularly and eat healthy by July. “It’s about time to recommitting to your New Year’s resolutions. And it’s never too late. You can start any day, any time. Winners don’t quit,” says Carey Yang, a certified persona trainer and fitness expert in New Jersey. Yang is the owner and master personal trainer at Beyond Fitness Solutions, LLC — a leading in-home personal training and weight-loss management company serving and helping clients in Morris County, Sussex County, Passaic County, Essex County and Somerset County areas in New Jersey. Even if this year was a challenging year for you, odds are if you look close enough there’s something somewhere to be proud of. Now that you have identified your three greatest accomplishments, go back to each one. This time though identify exactly what you learned or were reminded of by each of them. Practically every company and individual resists analyzing their mistakes. That’s a shame because this is where the best learning comes from. No matter how great everything in life is going – we all make mistakes. The trick here is to really analyze them, what preceded them, what could you have done differently, and how can you prevent them in the future. Were there certain actions you took or didn’t take that came back to haunt you? In order to make sure you don’t limit yourself again – you need to bring these self-defeating actions to the surface, confront them, and most importantly determine what you must do differently to make sure you don’t make the same mistakes all over again. The goal of this exercise is not simply to know yourself and your business better but to actually use the information to make certain next year far surpasses this year. What are the big takeaways from answering each question? What do you know about yourself or your business that you didn’t realize or weren’t thinking about. Obviously, having this list isn’t going to do it all, you still need to take this new knowledge and use it. The purpose here is to build in to your schedule, your interactions, your management style or whatever else you’ve surfaced in the previous questions and build yourself a new better approach. Hot summer is here to stay. People are taking time off to vacation with family, or simply relax, reflect and recharge. Most people spend less time in the gym but more time outside and eating out. There are too many fat traps out there that can sabotage the hard work to lean down for the swimsuit season. “Often times, it’s simply to pay attention to your environments and be prepared when you’re on the run,” says Carey Yang, a fitness coach, certified personal trainer and owner of Beyond Fitness Solutions in Morris County, NJ. Here are two simple rules on can live by to stay lean and fit during summer vacation. Enjoy the summer while keeping weight gain at baby. It’s understandable that we all want some time off and enjoy the great things in life, but doing so at every meal is going to do a lot of damage to your waistline. One-third rule means that only 1/3 of your meals ought to be eaten with the mindset of “I’m on vacation.” At this one meal each day you’re allowed to eat things normally ‘off-limits’. At your other 2 meals each day keep things lean, mean and green. Fill up on lots of greens, veggies, and lean proteins. Pass on the breads, grains, potatoes and anything with sugar. Drink water, and avoid beverages that contain calories. The second rule is about exercise during vacation. This rule is just as important as the first one. Each and every day you must do some form of exercise. We know that for some a weight room workout in a different place While on vacation, exercise should be diverse and exciting. Learn how to use your bodyweight to exercise more, lose more fat in less time. C. Carey Yang, Your Dream Body WorkoutXpert, is a certified personal trainer and fitness boot camp instructor based in Denville, New Jersey. Yang is the founder and master trainer of Beyond Fitness Solutions, LLC providing in-home personal fitness training, backyard boot camp, wellness and lifestyle coaching, and fitness and weight-management seminar. Yang specializes in helping busy, working professionals who want safe, effective workouts with maximum results in minimum time. Yang is the creator of the 6-Step Dream Body Blueprint Body Transformation System. Morris County NJ Personal Trainer and Senior Fitness Expert Carey Yang explains why customized exercise and fitness program by personal trainers is still the best fitness solution for baby boomers and seniors who want to get motivated to exercise safely, feel rejuvenated, correct posture and reduce back pain, improve balance and mobility, and prevent injuries and fall. Aging baby boomers now can learn from the best personal trainer and fitness expert Carey Yang on how to exercise safely, improve cardiovascular conditioning, build muscular strength and endurance, improve balance and flexibility, and prevent injuries. Americans are growing older and living longer. By the year 2030, approximately 21 percent (or 70 million Americans) will be over 65 years of age. As baby boomers start to reach retirement age, they are looking for ways to extend their longevity, rejuvenate their youth and improve their quality of life. Senior fitness is a growing new trend. Yang advocates lifelong fitness and health. He offers a few tips for baby boomers to start an exercise program. 1. Consult an orthopaedic surgeon or sports medicine specialist if you have any prior sports or orthopaedic injuries. 2. Always warm up and stretch before any physical activity. 4. Invest in good equipment and proper shoes. 5. Start slow and progress steadily. Chris Christie tried it. But is lap band weight loss surgery right for you? New Jersey Governor Chris Christie recently revealed that he had underwent lap-band weight loss surgery to lose weight and improve health. Is weight loss surgery right for you? Morris County NJ personal trainer weights the pros and cons. New Jersey Governor Chris Christie revealed he secretly underwent a weight-loss surgery in February known as the lap band and has dropped roughly 40 pounds since. Christie agreed to the operation at the urging of family and friends after turning 50 last September. “I want to applaud him for taking this big step to do something about his weight, not for political reason, for himself and his family,” says Carey Yang, a certified persona trainer and fitness expert in Morris County New Jersey. 1. A body mass index (BMI) greater than 40. 3. 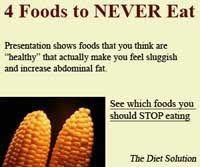 You can demonstrate that traditional weight loss programs like diet and exercise haven’t worked. 4. You are ready to commit to permanent lifestyle changes after surgery. 5. You understand the risks and benefits of weight loss surgery. The primary benefit of weight loss surgery is weight loss. Gastric bypass surgery causes an average loss of 61% of excess weight. Gastric banding surgery causes slightly less at an average of 47% of excess weight lost. Improvements in general health are also common. Obesity-related medical conditions usually improve or even go away after weight loss surgery, including diabetes, severe arthritis, obstructive sleep apnea, and high blood pressure. Weight loss surgery carries real risks. As many as 10% of people have complications afterward. Usually problems are only unpleasant or inconvenient, and might cause some pain and discomfort, or require additional surgeries, including nausea, vomiting, diarrhea, wound infections, and abdominal hernias. Serious complications do occur after weight loss surgery and can sometimes be life-threatening such as blood clot to the lungs (pulmonary embolism), leaks in the new surgical, gut connections, bleeding ulcers, and heart attacks. Nearly all severely obese people have unhealthy eating habits. A common problem is “binge eating.” After weight loss surgery, eating large amounts of food at one sitting can make you sick. For many people, learning to eat small, frequent meals is a challenge. Such profound changes in lifestyle don’t happen automatically or easily for most. It’s simply but not easy. Pounds don’t just pile on in one day. For people who need guidance, coaching or training, it’s best to see a weight loss coach or experienced personal trainer. http://www.BeyondFitnessSolutions.com. NJ personal trainer and fitness expert Carey Yang explains why fitness training with a buddy (spouse, family, friend or coworker) as semi-private or partner training can provide lasting motivation, lose weight and get in shape faster. “There is always a better way. I have helped countless people lose weight, build muscle and get in shape over the years. People don’t need to struggle their way through the weight-loss journey,” says Carey Yang, a certified persona trainer and fitness expert in New Jersey. “Some people keep their motivation up and momentum going, see their weight loss results faster than others. The question is why is that. What makes these people more successful than others. Of course, hiring a personal training is one thing. But that’s not all of them,” Yang said. Yang said, to beat the New Year’s Resolutions Syndrome, you need to watch out who you’re associated with. You are the product of five of your closest friends. Research shows that obesity is epidemic and contagious. Some people call it “sympathetic weight gain” with your friends. On the other hand, thinness could be contagious too. See who has the upper hand over the other.So stay close to your fit and healthy friends. But don’t break up with your overweight friends as yet. Just be aware and stay conscious in your environments. Stay away from sources that drain your energy and damage your health. Make friends with like-minded people who are positive, fit, healthy, high-energy and high-performance. Yang encourages people want to train together to interview personal trainer together to find the mutually accepted personal trainer, training style and training schedule. For more information about buddy training, visit http://www.beyondfitnesssolutions.com. Although spring has been muted this year, summer is not too far away. It’s not too late to lose winter weight gain, get fit and in shape for swimsuit beach-ready body. Denville, Morris County personal trainer and fitness expert Carey Yang shows a calorie-blasting, fat-burning circuit workout routine to help people shed fat, slim down, tone up and get in shape for the summer swimsuit season. Circuit training and workout routine is essentially doing at least 5 or more exercises one after another without little or no break in between. It usually goes by time for each exercise. He is also available for media interviews, providing a list of tips and articles, and presenting wellness and fitness seminar. Call 973-303-2424 or email Carey at BeyondFitnessSolutions.com. Personal trainer and fitness coach Carey Yang debunks the myths and confusion about fitness coaching, wellness coaching, health coaching and personal training. Coaching is the latest fitness and weight loss trend. For years people have tried all sorts of exercise programs and diets and failed. Most people realize that they cannot go on the journey of health, fitness and weight loss on their own. They need professional help. Personal trainers have been in high demand motivating and helping people exercise regularly, lose weight consistently and get in shape in less time. People who have achieved their fitness and weight loss goals also receive professional guidance in their nutrition, diet and lifestyle changes. “It’s the rest of 166 hours of the week that I don’t see you and train you for twice a week that make more difference in your weight loss and fitness,” says Carey Yang, a certified personal trainer and fitness expert based in Morris County, New Jersey. “In-person fitness training is invigorating. Nothing can replace the physical exercise and training that a personal trainer can deliver. After all, everyone knows what to do and why they need to do it. The problem most people simply aren’t motivated to do it,” Yang says. On the other side of the equation is that some people know and are doing the exercises and eating healthy part. But they lack the support, motivation and guidance to keep them stay on track or keep making progress. This is where the coaching part comes into play. There are many variations of coaching related to health, fitness and weight loss. They may sound almost the same but with slight different in emphasis and expertise that the professional can deliver. First, who are the professionals providing fitness coaching, wellness coaching, or health coaching? They can be personal trainers, yoga or pilates instructors, fitness or exercise instructors, nutritionists, dietitians, coaches, educators or counselors specialized in the area of health and fitness, medical doctors – all sorts of education, experience and training background. “You have to look at their education, experience and training background, and areas of expertise to find the one that most meet your need. Better yet, talk to several of them. Ask specific questions, about your challenges and if they have experience or clients going to similar situations,” Yang says. Almost all these coaching programs are virtual or online without having to be physically present with you. The service is delivered by phone, fax, email, messaging or skype — virtually anywhere in the world as long as internet or cellular communication is available. Coaching is best suited for people who already know how to exercise properly and safely, but simply need a dose of motivation, on-going support, periodic change-up in workout routine and training program, or supportive nutrition plan. Take fitness coaching as an example. - real-time live physical training and exercise via skype, facetime or other online digital video tool is possible. For thousands of middle-aged men and women frustrated to get rid of love handles and belly fat now can learn from Morris County NJ personal trainer and fitness expert Carey Yang with the most effective and challenging bodyweight exercise. Here is an example of 2-in-1 bodyweight exercise that combine wide-grip pullup and leg lift all in one move. “Both exercises are challenging in their own merit. Focus on quality, not quantity. Pay attention to muscle contraction. Do multiple sets of 3 to 5 repetitions if you have to.” Yang says. It’s March Madness time for NCAA Basketball tournaments to crown national champions. Denville, Morris County NJ personal trainer Carey Yang announces a special March Madness special to celebrate the national craze for college basketball games. “Now it’s springtime. Although the weather hasn’t been so kind this winter, it shouldn’t prevent you from working out and eating healthy. If you haven’t done so, it’s about time for spring training and getting ready for summer beach swimsuit season,” Yang says. 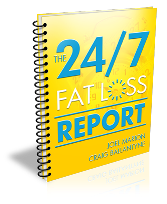 Yang offers four strategies to help overweight and obese men and women burn fat 24/7 by optimizing fat burning hormones and elevating metabolism around the clock. 1. Optimized Nutrient Combining: Avoid deadly nutrient combination of carb and fat. Release of insulin and fat promote storage. Do this by simply protein in every meal. 2. Carb Syncing: Prime your body with carb at the right times, in the morning and after intense exercise. 3. Strategic Overfeeding: Restricting calories and dieting put your body to starvation mode and decrease your metabolism to burn less fat. Strategic overfeeding resets your metabolism and keep your fat-burning furnace running again. 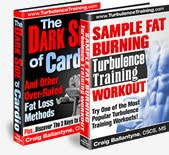 “When you combine the metabolism power of Metabolic Resistance Training with the hormone-regulating power of Optimized Nutrient Timing, Carb Syncing, and Strategic Overfeeding, the only thing your body can do is respond by burning fat 24/7,” Yang says. For March Madness special for customized weight loss and fitness training or online fitness coaching, visit and sign up at http://www.BeyondFitnessSolutions.com. It’s Spring Forward time today to adjust clock one-hour forward! If the history is the guide, at least one-third people who made their New Year’s weight-loss resolutions would have quit by now according to a study by the University of Scranton. Now spring is just around the corner. Weather is getting nicer. Temperature is rising. “It’s definitely a good time to spring-forward or jump-start your weight loss and workout,” Yang said. Here is a video demo of cellulite total-body fat buring workout routine. For hundreds of thousands of middle-aged Americans having trouble in getting rid of flabby back fat and jiggly thigh fat now can learn from Morris County NJ personal trainer and fitness expert Carey Yang with the simple and most effective 2-in-1 combination toning exercise. Lat and back muscles are also typical problem area because most people sit and slouch while working on their computers, watching TV or driving. Strengthening back muscles helps correct poor body alignment and posture. As people sit more, they don’t exercise their legs as much. Walking is a great general exercise. It still doesn’t work the leg muscles as much, particularly in the trouble areas. Here is an example of 2-in-1 toning workout routine that combine squat and low row exercises all in one move. “Both exercises are challenging in their own meirt. Focus on quality, not quantity. Pay attention to muscle contraction. Do multiple sets of 3 to 5 repetitions if you have to.” Yang says.